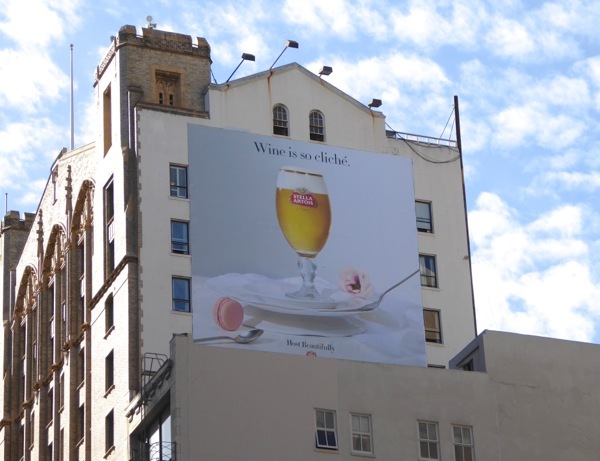 Stella Artois continues to reinforce its refined and sophisticated positioning with its latest outdoor ad campaign. 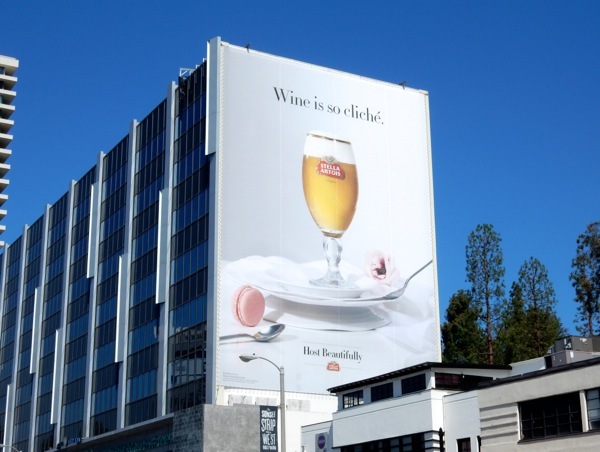 We already know that the beer should be served in a chalice, rather than a glass, and now the brand wants us to know that beer can be just as elegant as wine to serve at a dinner party. 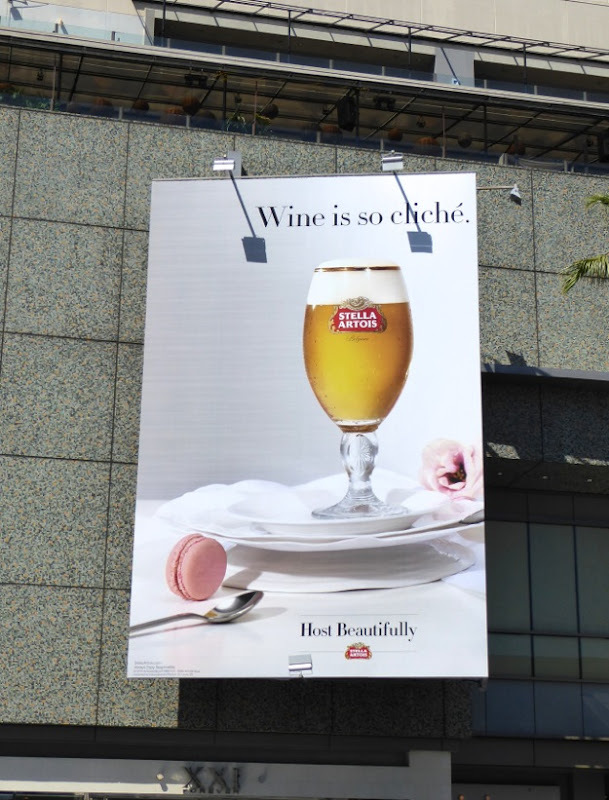 Let's face it, you can't beat a good macaroon if you're hosting a beautiful dinner party, especially if you have a Stella to savour at the same time. 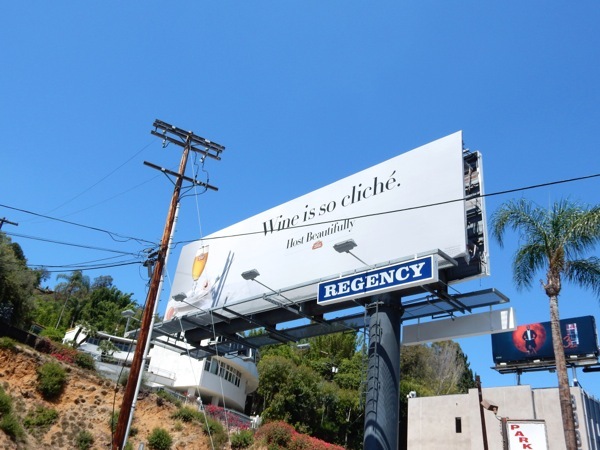 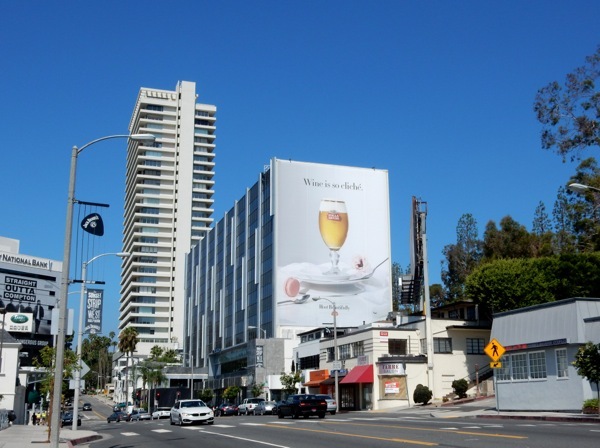 This 'Wine is so cliché' landscape billboard was first photographed along Sunset Boulevard in West Hollywood on August 7 and the giant-sized billboard was snapped the next day further west along the Sunset Strip. 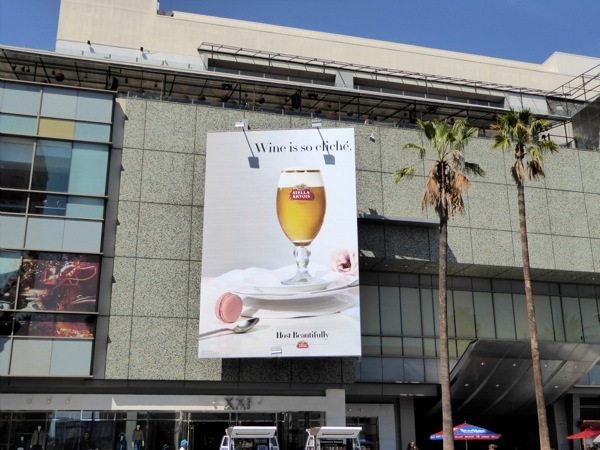 Meanwhile the portrait ad creative was spotted at Hollywood & Highland on August 28 and another ad was spied high above Union Square in San Francisco on October 7, 2015. 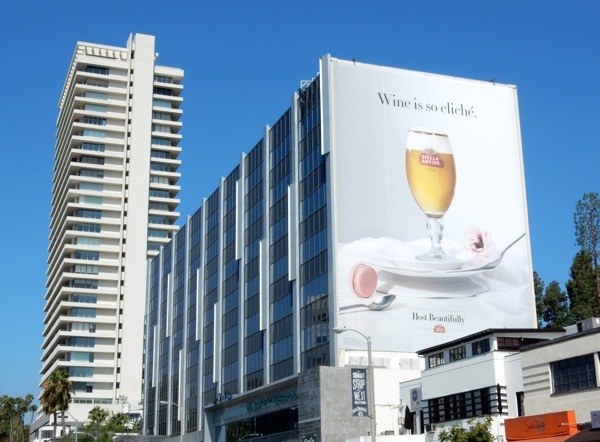 If you're a fan of the pilsner beer, be sure to also enjoy these other Stella Artois billboards from recent times. 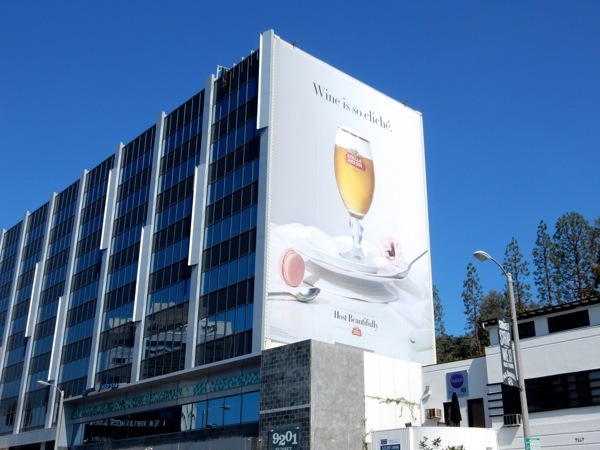 If you're thinking of entertaining this weekend maybe you should reconsider that glass a wine for your guests in favour of a beer, but if you're not playing host, then why not just enjoy a refreshing brew to help you relax into the weekend.